New Delhi: Taiwanese company Asus will be celebrating its success with Asus OMG Days on Flipkart. The sale will begin from February 6 and will go on till February 9. Asus is celebrating “two million happy customers in 2018”. No-cost EMIs and complete mobile protection shall be offered as bundled offers. Popular Asus smartphones like Zenfone Max Pro M1, Zenfone Lite L1, Zenfone 5Z will be part of the Asus OMG Days sale. Asus is also going to launch the M2 series during the sale. 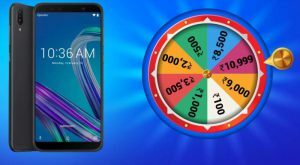 Asus Zenfone Max Pro M1 will be available in a ‘Jackpot deal’ with a discount of Rs 2500 in Asus OMG Days. The smartphone will now be available for Rs 8,499; which was previously priced at Rs 10,999. The handset is powered with a 5000 mAh battery and runs on Qualcomm Snapdragon 636 processor. The handset offers a 5.9-inch FHD+ display. It comes in three different RAM variants – 3GB, 4GB and 6GB. Entry-level Zenfone Lite L1 got a discount of Rs 2000 in Asus OMG Days. It will now be available for Rs 4999; which was previously available at Rs 6,999. The phone comes with a 5.45-inch HD+ display. On the hardware front, the smartphone is powered by Qualcomm Snapdragon 430 processor paired with 2GB RAM and 16GB of storage. On the camera front, the Zenfone Lite L1 includes a 13MP sensor on the back and 5MP sensor on the front for the selfies. The phone is backed by a 3000mAh battery. Asus will be launching two new smartphones, i.e. 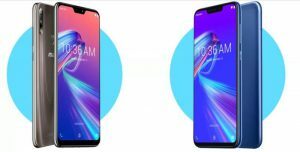 Asus ZenFone Max Pro M2, ZenFone Max M2 during the Asus OMG Days sale. Lastly, Asus Zenfone 5Z will also be selling at a discounted price. The flagship device comes with a 3300mAh battery and offers a 6.2-inch HD+ display. It is said to pack up to 8GB RAM.